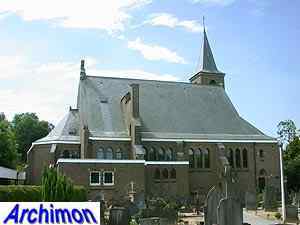 The church of Tilligte is the second church that architect A.J. 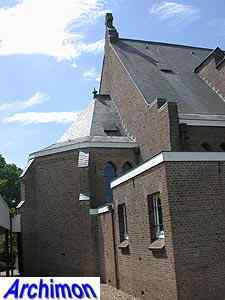 Kropholler built and completed, after the one in Beverwijk. 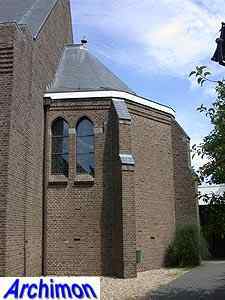 It is a compact, one-aisled church in Rationalistic style, built of brick but with some decorative use of natural stone. 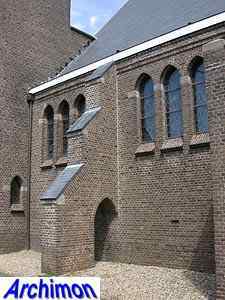 A bit unusual for Kropholler is the front, which is not in one piece but consists of a lower part with a single-sloped roof square on the axis of the building, with a gable a couple of meters behind it. 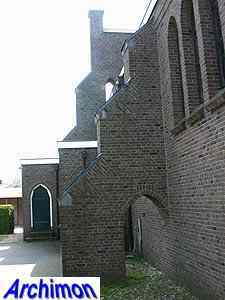 Next to the front is a tower. 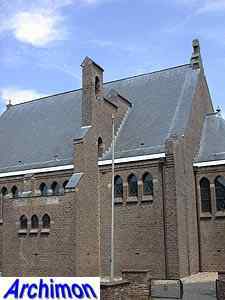 The one-aisled nave has a few heavy buttresses which serve no purpose. 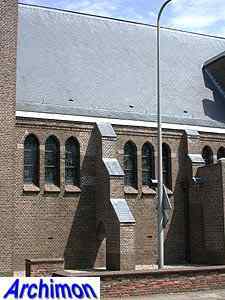 Each trave has three small windows, On the back of the nave these buttresses become taller. 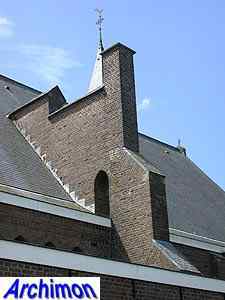 One of these ends at the top with a a small tower holding an angelus bell, while the other is a chimney. 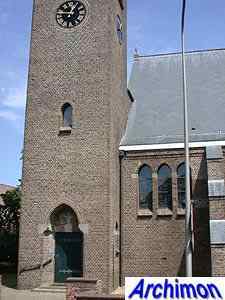 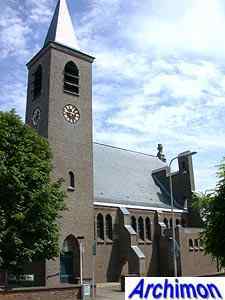 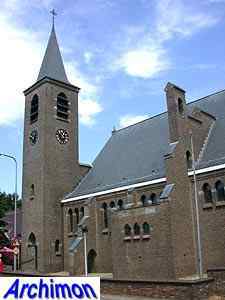 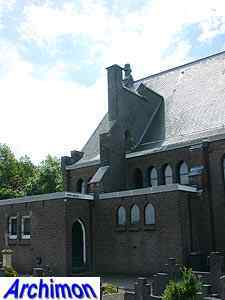 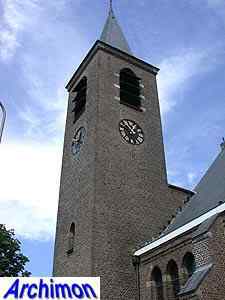 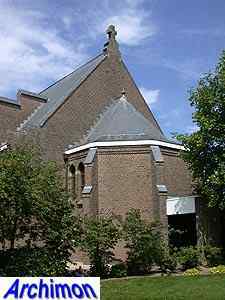 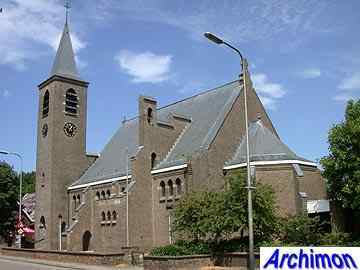 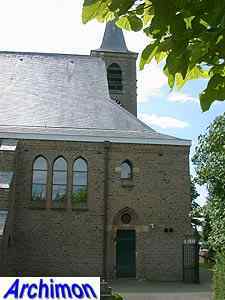 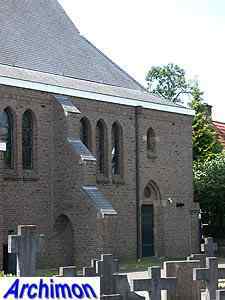 The choir is lower than the nave and has a three-sided closure instead of the straight one in Beverwijk. 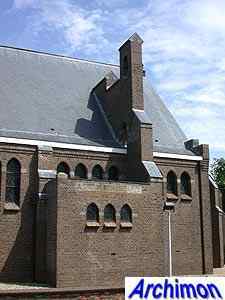 The polygonal choir would become a common element for Kropholler's church. 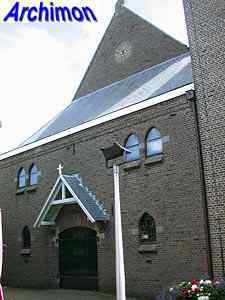 The choir is illuminated only by two small windows on each side.